This morning I found a nick in the propeller big enough to catch a fingernail. 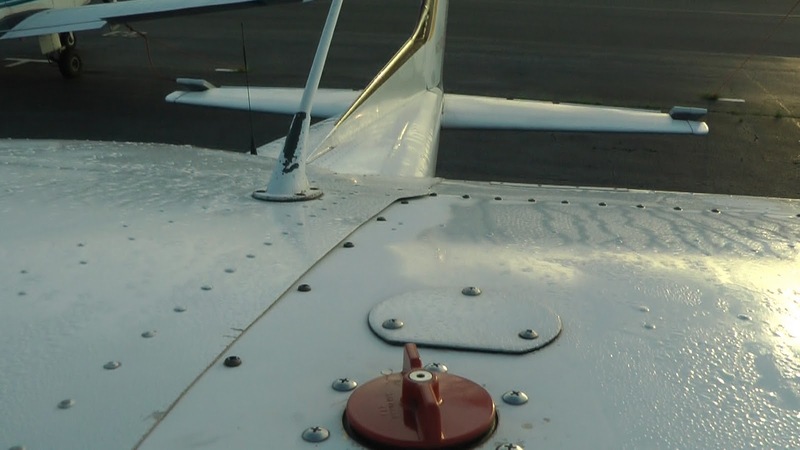 After taking the AOPA Engine and Propeller mini-course, I knew to have my CFI take a look at it. The chief flight instructor and an A&P that I haven't met dressed the prop with a file, and we were off. Almost. The battery was nearly dead. This gave me the opportunity to jump start the engine from an external 24/28V power source. Of the five landings that I made today, three of them were my worst to date. Not good. My final approaches were OK--airspeed, altitude, and centerline alignment was fine--but the flares were way off. I had been cheating by leaning on my CFI for coaching up this point--he'd give me instructions during the last 2 seconds before touchdown. Today was the first time I landed with no verbal help, and it showed. I had this video of a recent prop strike by a local student fresh in my mind, so I tried to avoid a nose wheel landing by adding too much back pressure too soon, which resulted in a balloon. Then I overcompensated, came in flat, and managed to land on the nose wheel, resulting in a bounce. I let a poorly trimmed airplane pitch up on the downwind-to-base turn, dropping the airspeed well below the 70 knot guideline on the first pattern that I flew. I completely neglected elevator trim today. I never came remotely close to a stall, which can be a killer at those altitudes, but I need always be cognizant of airspeed when in the pattern. I looked down to double-check that the elevator trim was in takeoff configuration while at full throttle on the takeoff roll and unconsciously let up on the right rudder. The airplane started to veer left of the runway centerline. I had plenty of time to realign, but CFI's really don't appreciate it when you do that. All attention forward when taking off. I wanted to line up on 34R on final during the first approach of the day (yet again). I scheduled time on Thursday to focus on landings. The first solo flight is on hold, probably until I finish the stage check, which is the lesson after next. This is disappointing, and it does seem like I've had more poor performances than good ones so far. So it goes. Many people solo well after the 11 hours that I have now, and I'm sure the landing flare will "click" soon. In the meantime, I have been reviewing the chapter on landings in Denker's "See How It Flies." What a great on-line resource.